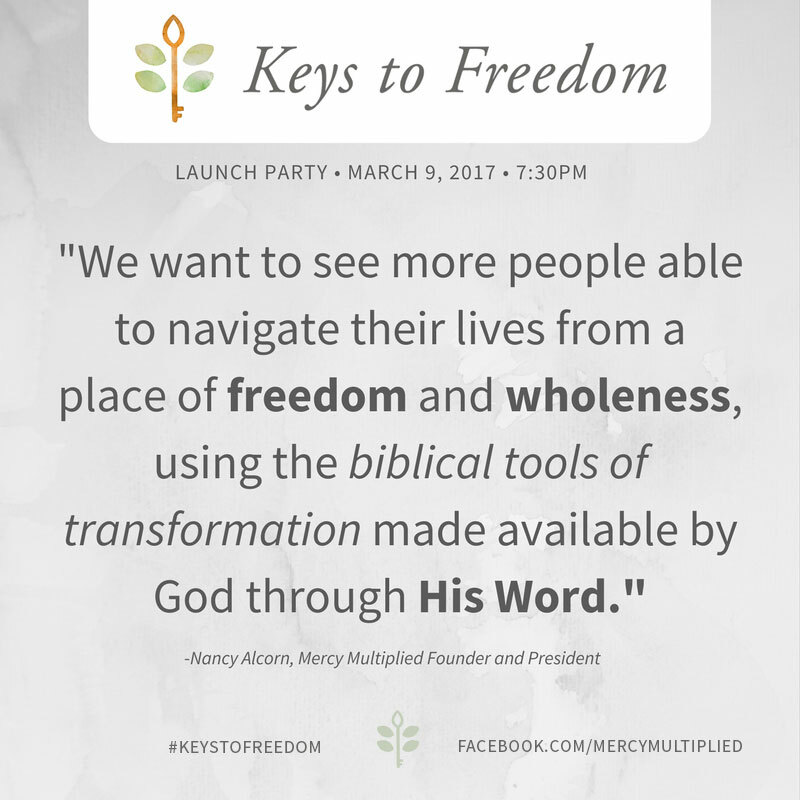 Mercy Multiplied recently announced the official release of our newest resource Keys to Freedom. 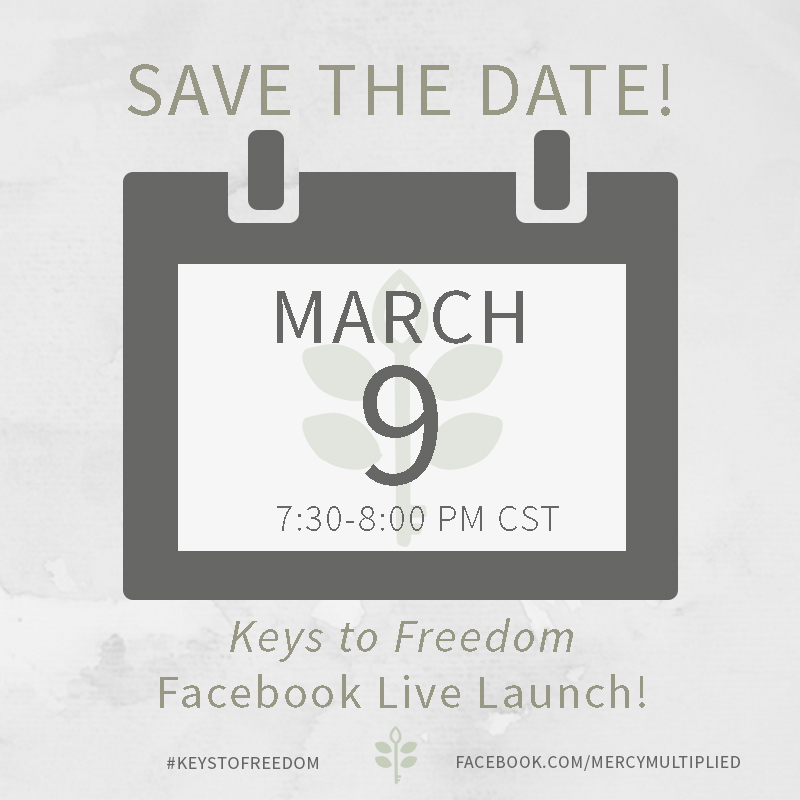 A special livestream event will be held March 9th from 7:30 to 8:00 p.m. CST to celebrate the launch. Long-time Mercy supporter and money management expert Dave Ramsey will host the event. Dove Award-winning singer/songwriter Ellie Holcomb will provide musical entertainment. 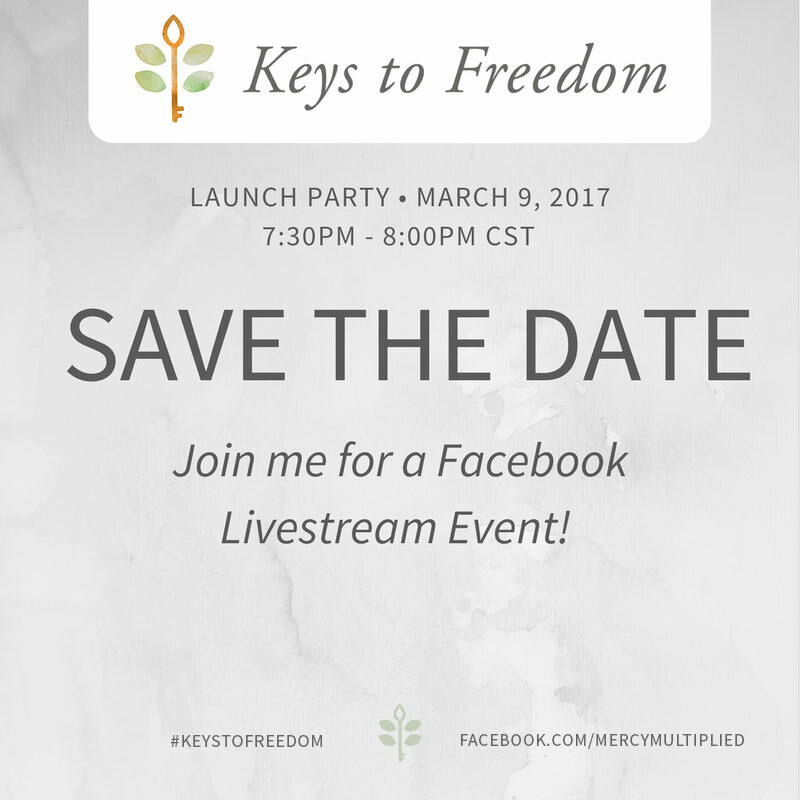 Mercy’s Founder and President, Nancy Alcorn, will share how Keys to Freedom is designed to equip all people with the seven keys to live free and stay free. 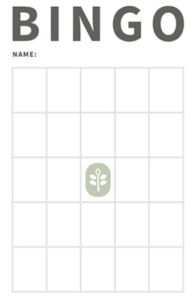 Printable party favors, decorations, games and questions to facilitate discussion before and after the livestream broadcast will also expedite your party prep. 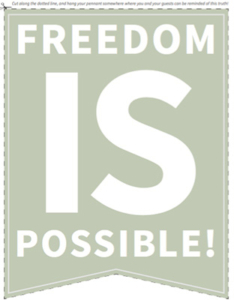 Bonus social media graphics are provided to make spreading the word even easier. Start your preparation today with our tips and downloads, and on March 9th, simply grab your friends and tune in from wherever you are – on your computer, phone, or other streaming device – to catch all of the excitement! Register today as an individual or a group to take part in celebrating the launch of Mercy Multiplied’s most universal and transformational resource yet!